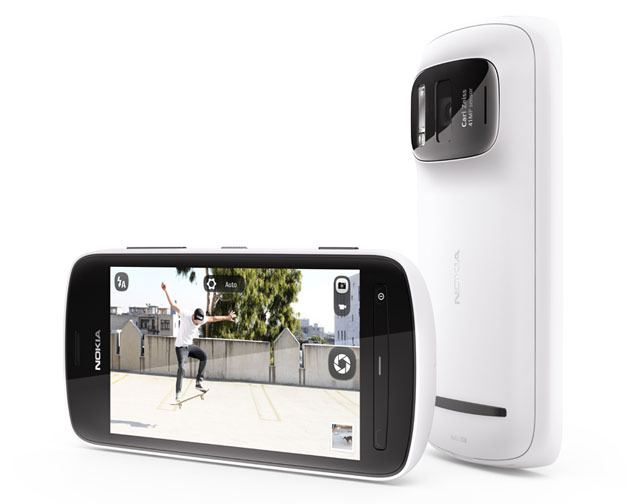 When I first learnt about Nokia's 808 PureView phone featuring a 41Mp camera, I thought I'd either misread the specs or I'd somehow stepped into the future. A forty one megapixel camphone – WTF? Not even professional DSLRs showcase such a high resolution. Well, once I ascertained that Nokia was true to its word, I had to find out what this apparent miracle consisted of and, more importantly, if this massively spec'd camera was any good. With a summer holiday long overdue, I took a Nokia 808 with me on a trip to Stromboli, an island off Sicily, to familiarise myself with the phone and take in the PureView experience. The Nokia 808 looks like a fat version of most Androids on the market. It is chunky and heavy too, but it does feel good in the hand, at least as a phone. Yet as a camera, the complete lack of grip and the protruding lens so close to the left edge makes handling as uncomfortable and unsafe as any other phone. On the plus side, you can fire off the camera from a large button on the edge. In fact, once you turn the phone horizontally to use it as a camera, it is a pleasant surprise to find that commands such as the shutter release and the zoom lever are exactly where you expect them to find them on a compact camera. Also, one indication of the seriousness of Nokia’s claim over the novelty of the 808’s camera tech is its lens. This bright f2.4 wide-angle 8.02mm lens – equivalent to 28mm on a 35mm camera – is from Carl Zeiss, a company that renowned for top quality glass. It's housed in that distinctive bulge at the back that also contains the Xenon flash and the stereo mic. Apart from the tiniest ridged plastic strip for the answer/hang up and menu buttons, the 4in touch screen fills the front of the phone. Yet seeming somewhat inconsistent with the high resolution of the camera, the display has is a mere 640 x 360-pixels. Even so, it's bright and sharp enough with a good screen performance in broad daylight, no doubt aided by Nokia's ClearBlack display technology. 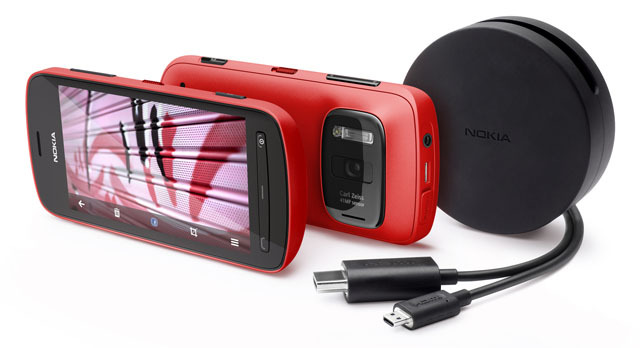 In keeping with compacts, the Nokia 808 comes with a lens cap and a wrist strap, which I found very useful. Despite providing the 808 PureView with a 41MP sensor, Nokia claims not to subscribe to a strategy of pixels for pixels’ sake. So how does it explain the rationale behind the 808’s feast of the blighters? The big idea behind PureView technology is pixel oversampling; combining many pixels to create a single 'super' pixel.